What is the greatest faux pas that a business can make via social media? Is it saying something offensive or inflammatory? Is it not actively interacting with its followers? Or is it simply not knowing how to use social media? Think as a consumer for a second: what is more likely to turn you off to a business? For businesses to know how to create and implement a social media strategy, they first have to define how they plan on using social media in the first place. Doing so shapes the entire strategy, and allows the business to better focus its efforts on seeing it through. This is often where companies fail: they see how others use social media, and they see how they use social media in their personal lives, and they try to find a medium. Creating the right social media strategy is as much about catering to the strengths of the different social media sites available, as it is sharing the right content or interacting on a daily basis. Knowing what is appropriate on each site is crucial to the success of a post, and knowing the etiquette for posting on the respective sites allow a business to further focus their strategy. In this infographic, we define the strengths of the most popular social media sites, and show you how to post for maximum interaction. Take a look, and know that social media etiquette is an evolving thing, defined by consumers and businesses alike. Creating the right social media strategy is as much about catering to the strengths of the different social media sites available, as it is sharing the right content or interacting on a daily basis. Ivan Serrano is a web journalist and infographic specialist from Northern California. He has covered a range of topics including global business, technology and social media. In his off-time, he enjoys catching up on sports news and his photography. Thank you to my “Guest Blogger” Ivan Serrano for providing the following insightful information on Instagram! Instagram is sweeping the charts even surpassing Facebook’s growth with over 200 million users worldwide. It became popularly known as the new Facebook for teens because of its simplicity: post a photo, add a sentence or two, follow your friends. But teens aren’t the only users of Instagram. Now the company has become a tool for small businesses to visually market their content. You must embrace it to fully utilize it. Once you learn the right Insta-etiquette, like how to hashtag well, how to edit and filter your pictures, and how to give your content an edge to gain more attention, you’ll have an army of followers before you know it. The art of Instagram lies in the aesthetic of your content. This is not exclusive to photos, but includes unique hashtags, headlines, and even brand names. To find your following, you’ll have to be flexible – know how to switch up content to appeal to all sorts of targeted audiences. Soon enough, you’ll find that you’re marketing your company without even trying to. Instead, you’ll find that you’re telling a story; a personal narrative of who your company is, what is does, and how to find your unique voice in the ever-shifting terrain of marketing. Visual content is more in-demand than ever before. As a visual-based social platform, Instagram allows brands to showcase products in a creative way, establish visual identity, and create interactive hashtag campaigns. This information was provided by my “Guest Blogger” Ivan Serrano. Ivan is a web journalist and infographic specialist from Northern California. He has covered a range of topics including global business, technology and social media. In his off-time, he enjoys catching up on sports news and his photography. 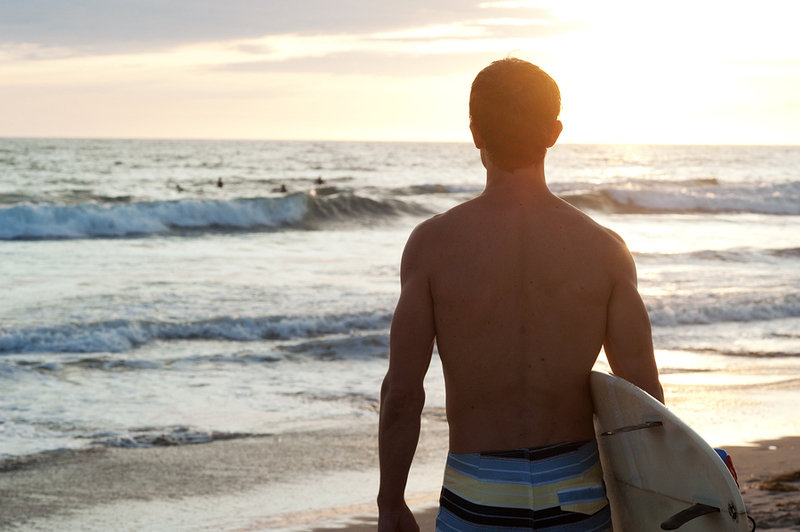 Are you Riding the Wave of Social Media Success? Are you still watching from the sidelines? Many small business owners are still cautiously dipping their toes into the waters of social media while their competitors are already riding that wave with some exciting results! Even today, with its wide-spread use, many small business owners are still claiming a lack of time, resources and understanding of social media tools, as well as intimidation by the vastness of the social media space as primary factors for not yet integrating a social media strategy into their communications efforts. While some small business owners are still watching from the sidelines, cautiously dipping their toes into the waters of social media, there are millions of professionals who’ve already dived into social media and are riding that wave with some exciting results. These social media savvy professionals are watching their efforts exponentially ripple throughout the industry in powerful ways. They are successfully branding themselves as innovators in their industry by turning their social media connections into their most powerful advocates. But like any tactic, the results are always better when they are directly connected to business objectives. One of the major driving factors leading small businesses to investigate the effectiveness of social media as a communications or marketing platform has been the recession. “At the beginning of 2009, our phone stopped ringing,” shared Laura Davis, architecture principal and director of marketing for HPD Architects in Dallas, Texas. “It became apparent when 197 people showed up for a pre-submittal meeting that our chance for success in winning the project was dwindling. We realized we had to take action to bring in business.” HPD included social media as a way to support their face-to-face networking and to expand the reach and influence of the firm’s brand. 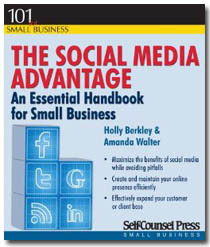 This blog post contains excerpts from Holly Berkley & Amanda Walter’s book The Social Media Advantage. Howard Blackson, principal and director of planning for San Diego, California-based PlaceMakers, a multidisciplinary planning and urban design firm with seven principals located in seven different cities, also points to social media as an asset for today’s economic climate. He refers to social media as not only a way to conduct research and distribute thoughts and ideas, but as the core of their “New Economy” business model, which relies on the internet and social technologies to function with no overhead, no full-time office staff or central office. For PlaceMakers, social media tools allow them to run a more efficient business, bringing in expertise from all over the U.S. and Canada to easily collaborate on a single project. According to a 2011 survey from the University of Massachusetts Dartmouth Center for Market Research, more companies than ever view social media as an essential asset to business communications, with 86% reporting that social media technologies were “very important” to their business and marketing strategies in 2010. According to the survey, 71% of businesses used Facebook in 2010, 59% used Twitter and more than half surveyed blogged. Of this group, 85% view Facebook as successful in helping them meet their business goals, while a whopping 93% report message boards as a successful tactic. As one social media advocate, Vik Duggal, said “The internet is about 17 years old, just about to graduate high school and is about to really blow up.” Social media is even younger. Although still young, social media has already become an essential piece of most businesses’ overall communications strategy. Business owners are sharing ideas on Twitter, growing their customer base with Facebook, promoting their expertise on blogs – and seeing measurable return on investment for their efforts. Today’s social media tools aren’t only about technology. They are a direct response of today’s business world where communications happen in real time. Think of social media as the new cell phone. Just as each and every one of your employees and consultants has a direct cell phone number to power their everyday business and communications, social media can also be leveraged for this purpose – but contains a longer and stronger shelf-life than a single phone call. But unlike a phone call that is between a closed or private group, social media communications allow for outside input and influence, which will help your ideas and your business expand and thrive. Social media offers the ultimate “listening tool” to gain honest input from customers, feedback on your products or services and your business, as well as to discover new and more efficient ways of working. How is your company using social media to expand its influence and customer base? How Essential is Social Media to Your Business? When you look at the Internet’s growth compared to that of TV or Radio, the pace is incredible. Facebook grew to 200 million users in less than a year and today, there are over 1 billion users. In fact, if Facebook were a country it would be the world’s 3rd largest right after China and Indonesia. With 50% of the world’s population under 30 year’s old, and 96% of them using social media daily to communicate, learn and form opinions about the businesses and services they use, having a social media presence is critical to your business success. Take a moment to watch the latest video from Socialnomics and find out what else is happening in today’s online world, and why you need to be a part of it – now.